Kylian Mbappé, AS Monaco’s bright young star has done it again! Scoring in three of the last six wins, the 17 year-old brought his team to a 6-2 win against Montpellier. Frédéric Barilaro, head of the Under 19 league, describes Kylian as ‘mature for his age.’ He said the key to the best players is making the right move at the right moment, and Kylian showed that in his debut game against Montpellier. “He’s got what it takes. It makes me think of Thierry Henry,” said Barilaro. The son of a Bondy football coach, Mbappé showed great talent from a very young age, attracting the attention of recruiters from all over Europe. At age 11, he was invited to Chelsea stadium; at 14, he was brought to visit Real Madrid with a welcome from none other than Zinedine Zidane. 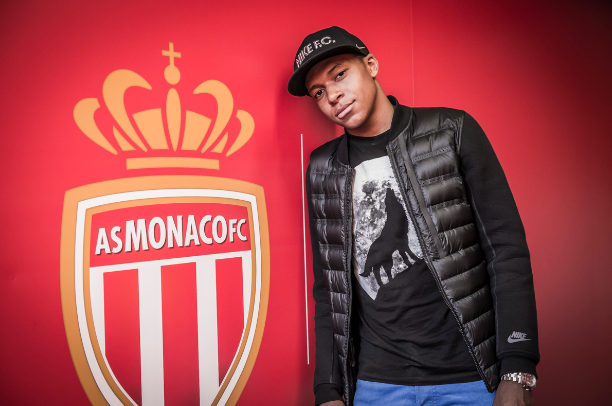 But it was at the INF Clairefontaine that led the 14-year-old to join Monaco in 2013. For his professional contract, it took six months of negotiations, including extravagant offers from top clubs across Europe. 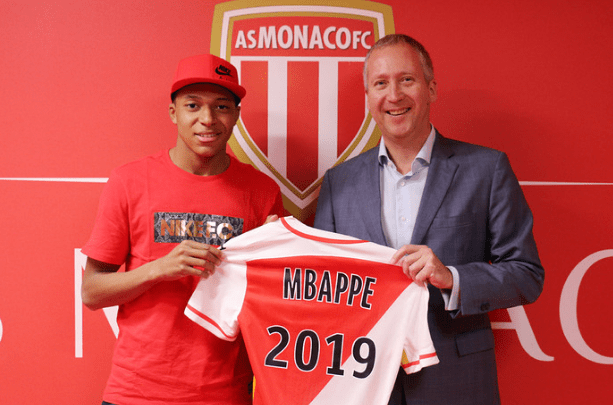 In the end, he stayed with the club that nurtured him over the last years and signed a full-employment contract with AS Monaco through 2019. Throughout the negotiations, Mbappé never had an agent, keeping all the discussion in the family—a family that is no stranger to the game. Aside from Mbappé’s coach father, his mother was a professional handball player and his uncle is the sports coordinator for the Sudan National team. He also has an adopted brother, Jirès Kembo-Ekoko, who plays professionally for Rennes. In post coverage, Mbappé is usually silent. Offering no post-match commentary, he sticks to what he cares about the most—the pitch—which lays like putty beneath his feet. “Kylian already understands the world of football media. He knows how it works. What he loves more than anything, is playing,” said Barilaro. Last February, in a match against Troyes, Mbappé broke the club’s record for the youngest player to score, at 17 years and two months. Thierry Henry held the record previously when he first scored at 17 years and 8 months of age. Monaco will certainly look forward to more spectacular goals and wins as Mbappé develops his game and leads AS Monaco to victory.